At this point of time news that is in the headline is Satya Nadella becoming the third CEO of Microsoft. It’s a matter of glory and pride to India as well. It was officially announced on February 4 , 2014 in Bellevue , Washington that Satya Nadella is named as the third CEO of Microsoft Corporation succeeding Steve Balmer. Satya, an Indian was born in Hyderabad. He navigated from Sun Micro systems to Microsoft in the year 1992 and since then he have a successful journey with Microsoft. The maverick in bothe software and hardware field, Nadella flourished Microsoft’s cloud arena to such a great extent and now he will be tasked in the innovation of Redmond. He led his invaluable contribution in the development and success of SkyDrive, Bing and many more that has ushered a new path for Microsoft. Now the most hot buzz is the salary hike Satya will be enjoying. Lot of speculations are running but as per his new employment agreement, the 47 year old Indian would be receiving a huge hike. The USD 78 billion software major will receive salary ona semi monthly basis at an annual rate of USD 1.2 million. Besides his regular salary he will get stock awards of the tune of USF 13.2 million having a net package of 18 million. Satya is happily married with three kids and despite is immeasurable successful career he has an undying love for his family and cricket. 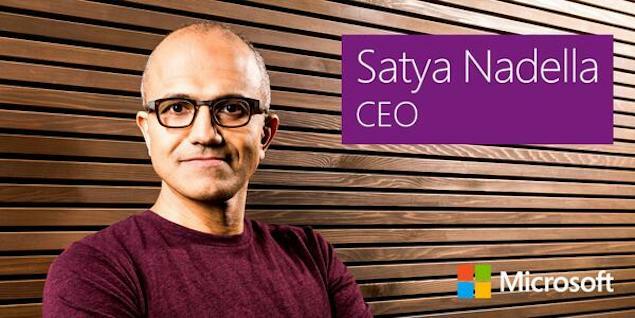 Being impressed by his multidiagonal talents, Balmer urger dor an early retirement giving way to Satya Nadella.